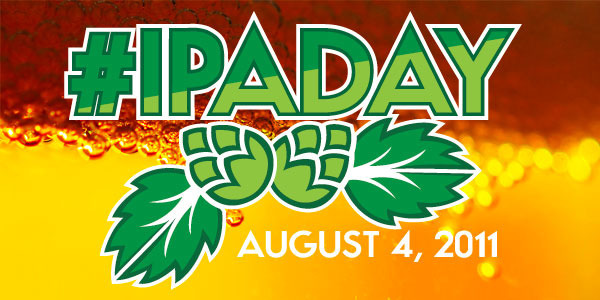 Much like Watermelon Day, Margarita Day, Blueberry Muffin Day, Pizza Day, and any other food/drink-centric day you can think of, #IPAday is just an excuse to eat or drink one particular thing on one particular day. But who am I to complain? I always welcome the opportunity to eat and drink! #IPAday was August 4th. Although I marked the occasion with a review of that classic Comfort Beer, Stone’s India Pale Ale, I felt that I needed to do more to celebrate. My Twitter feed was hopping (pun intended) with #IPAday inspired tastings throughout the day, so by mid-afternoon, I decided to jump on the #IPAday bandwagon. On my way home from work, I popped in to The Foodery and grabbed a mixed four pack of IPAs (Cisco Indie Pale Ale, Dark Horse Crooked Tree IPA, Cigar City Jai Alai IPA, Firestone Walker Union Jack IPA). My plan was to gather the Booze Dancers for an impromptu tasting that night. Sadly, adulthood prevailed (i.e. work and family obligations) and the #IPAday tasting never materialized. Limpd: Cloudy orange color with no foam and lots of lacing. Sweet malt and raspberry aroma. Mislead by the aromas. Lots of hops and a bitter, lingering finish. Fell kind of flat. Very unbalanced overall. G-LO: Cloudy red/orange color with no head and moderate lacing. Honey, orange marmalade, and pine aromas. I’m asking myself “Where’d the sweetness go?” after taking that first sip. Harsh and bitter from start to finish with a lingering and unpleasant bitter aftertaste. Desperately needs some sweetness to balance things out. Conclusion: All I can say is that it was our least favorite of the four. Limpd: Red/orange color with a bit of foam and lacing. Sweet malt, bread, and apple aromas. Overly sweet up front. Hop bitterness from middle to end with a slightly bitter finish. G-LO: Cloudy amber color with a thick quarter inch head and a bit of lacing. Cinnamon, spiced pear, honey, and pine aromas. Thin, watery mouthfeel and light carbonation. A bit better balanced than the Cisco IPA, but lacked that big IPA punch that I have grown to love. Conclusion: Better than the Cisco, but still not great. An average beer at best. Limpd: Cloudy, deep orange color with a bit of foam and lovely lacing. Sweet, ruby red grapefruit aromas. Medium carbonation and a creamy mouthfeel. Starts off sweet, but then the hops kick in and lead you towards an appealing bitter finish. Very well balanced. G-LO: Cloudy orange color with a thick fluffy head and moderate lacing. Pineapple, mango, tangerine, grapefruit, and floral hop aromas. Medium carbonation that fizzes on your tongue. Sweet malt flavors in the beginning. Hoppy bitterness starts at mid-palate, but never overwhelms that sweet beginning. Mild bitter finish. Conclusion: This was Limpd’s favorite IPA of the night, while I put it on par with the Firestone Walker. Although this beer has an ABV of 7.5%, you would never know it. It does a fantastic job of keeping it’s booziness well hidden. Could definitely have a few of these in a row. Definitely on my Comfort Beer list! Limpd: A very bubbly pour! Golden apricot color with good foam and lacing. Peach, apricot, and sweet malt aromas. Not as viscous as the Jai Alai. A harmonious blend of sweet, hoppy, and bitter flavors. G-LO: Slightly cloudy pale orange color with a light fluffy head and moderate lacing. Citrus, peach nectar, and mild floral hop aromas. Smooth and creamy mouthfeel with medium carbonation. Citrus and sweet malt start things off. Hops take over and lead you to a pleasant and lingering bitter finish. Conclusion: Limpd’s second favorite of the night, while I put it on par with the Jai Alai. Well balanced, flavorful, and incredibly smooth. Very subtle for a West Coast IPA. Much like the Jai Alai, it hides its 7.5% ABV REALLY well. Will definitely be buying this again. Have you had any of these beers? We’d love to hear your thoughts. Feel free to leave us a comment. Too bad. 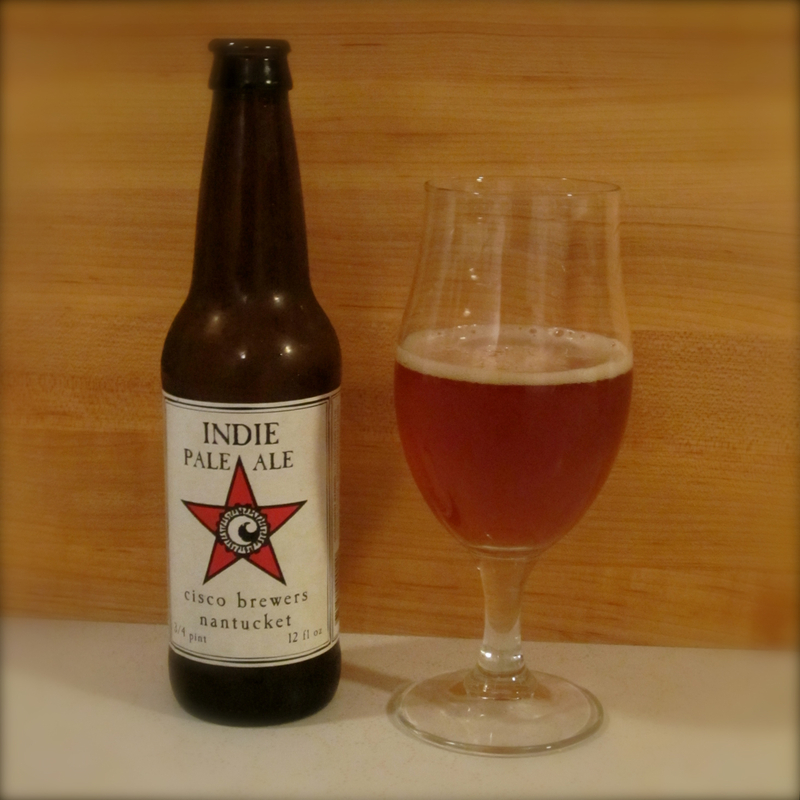 That Indie Pale Ale was going to be my white whale, perfect for a blog about indie rock and craft beer. Otherwise, the others are all top-notch IPA’s. 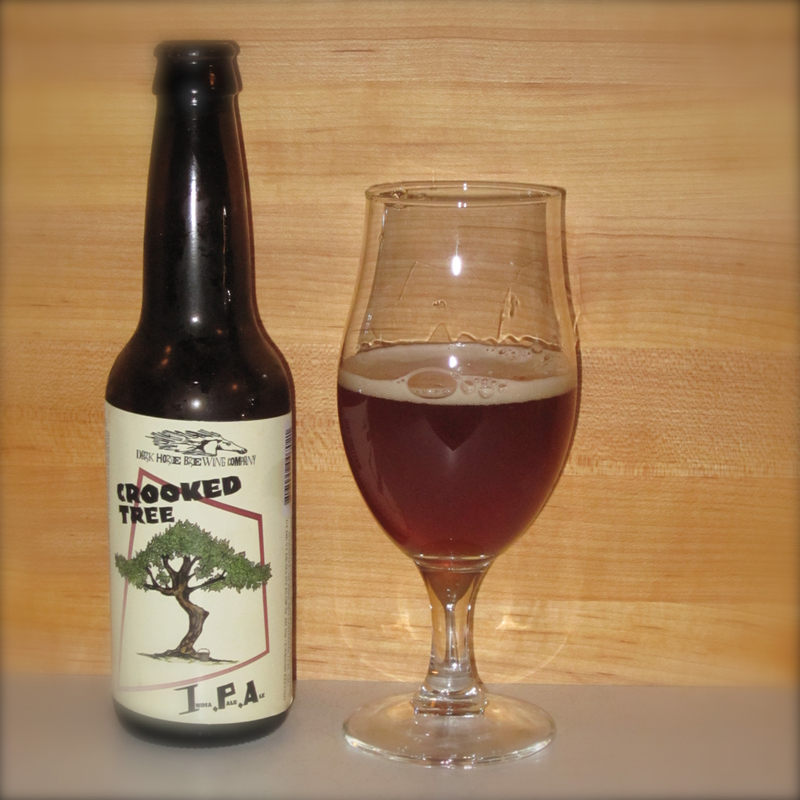 However, I had some of a bad batch of Crooked Tree and was none-too-pleased. Luckily, it was an aberration. There’s always a chance that the unloved IPAs were past their prime. Since they didn’t have a “Best By” date, I guess I’ll never know. I haven’t had any of those! Sigh. I had a nasty one on IPA. I think the brewery was called Napa Smith’s or something. I was not a fan! I’m glad you all had better luck. How did I miss that day?! Great roundup. Not sure which ones I can get down here, but it’s worth a scouting mission. You definitely have to track down the Cigar City and the Firestone Walker. Great reviews – love the team work. Appropriate for you to post this on another great National Food Day: S’mores! yup, it’s National S’mores Day. They could work w/IPAs … right? Perhaps around a campfire? National S’Mores Day!! Now THAT calls for a rich imperial stout! This calls for some Old Raputin! Glad you enjoyed the reviews! It certainly was fun. Not sure about S’mores and IPA though. S’mores and whisky… that’s more like it! Who do we need to talk to about getting Hallmark to do National IPA Day cards? Last time I checked they had a section for cards on welcoming a pet for a third cousin twice removed by Child Welfare Services so an IPA Day card or two should fit in with their portfolio. Cisco IPA: Awful. Unbalanced. Unappealing. They should stick to routers, web security hardware and IT services. Crooked Tree: Haven’t had it and not happy about it. Closest I’ve had is Uinta’s Crooked Line and that doesn’t count. I could make something up but I’m not feeling terribly creative right now so I won’t. 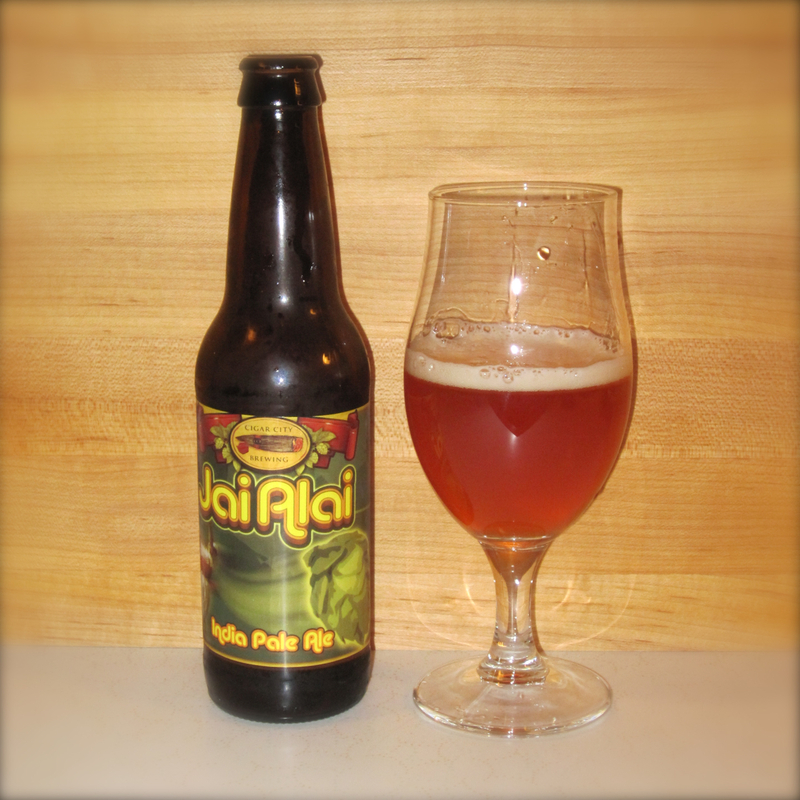 Jai Alai: Spectacular. A real gem. Who knew that a bunch of transplanted Spanish Basque Separatists could brew a top flight beer? Wonder how they do it with those outrageous wicket thingies strapped to their arm. Union Jack: Another amazing IPA. Not surprised coming from such a world class brewery. Annoyed I can’t get it here in NJ but Double Jack is available and a very respectable substitute. Perhaps you should draft a letter to the Hallmark people. I will be happy to sign a petition. And they may even offer you a job when you impress them with your highly evolved wordsmithery! I really want to like Cisco, since I’ve sent a lot of time on Nantucket. But as everyone seems to agree, not great. Last time I was there, late 2009, I had the Whale’s Tale Pale Ale on tap. It was good. Not great. Sadly, I only had one IPA on #IPAday. Dogfish Head 60 Minute. Thurday nights are band practice for me, so we drink what we bring. I brought the 60 Minute, and others brought Sam Summer. Oh well, I did represent. It’s a shame that the Cisco was so disappointing. I have a soft spot for New England (especially in the summer), so it’s a real shame that I didn’t like this beer. I’m hoping that perhaps I just picked up a bad bottle. I supect that the Cisco beer take awhile to fly off the shelf since it was nestled between several better known craft beer brands.